Your One-Stop Window, Door and Outdoor Living Resource! 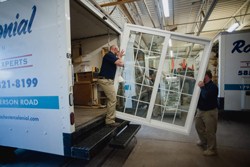 We have been installing windows and doors for over 70 years. From the simplest to the most complex applications, we will treat your home as if it were our own. Our goal is to leave as though we had never been there (except for your beautiful new windows, doors, or awning, of course!). 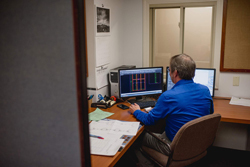 Our installation manager will visit your home before any work begins to ensure proper measurements for all of your replacements. This ensures a seamless and head-ache free installation process. 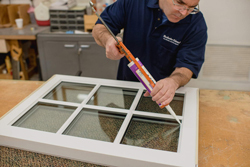 Performing field service on windows and doors requires specialized training. 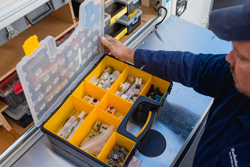 We have a separate service team and specially equipped service vehicles to make repairs and adjustments in the field. 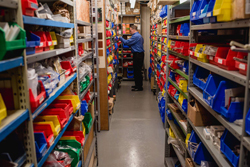 We have the most extensive selection of window and door parts and components in the region. If we do not have it here, we will find it for you through our extensive national contacts. Drop off your ripped screen or broken glass at our Lyell Avenue showroom and let our expert staff fix it for you. If we do not have the right material in stock we will order it for you.